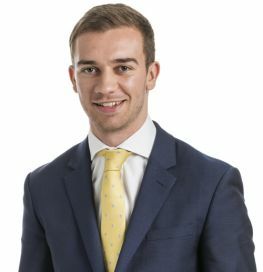 Sean is a Solicitor at Allan McDougall Solicitors, having joined the firm as a Trainee in 2015. He graduated from the University of Edinburgh in 2015 and was admitted to the Roll of Solicitors in 2016. While having assisted in a variety of cases, Sean’s main role is as a member of the firm’s Personal Injury Litigation team. He deals with all aspects of Personal Injury litigation and has experience of dealing with court actions in the Sheriff Court, Court of Session as well as the All-Scotland Sheriff Personal Injury Court. Sean is also a Notary Public.